Having a healthy diet is one of the most effective and easiest ways to help protect against cancer. Eating certain foods may even slow down cancer cell growth or reduce the size of cancerous tumors. This list of cancer-fighting foods is by all means not inclusive, there are other anti-cancer foods, but this list provides a great starting point for any anti-cancer shopping list. These vegetables contain a chemical called indole-3-carbinol that converts a cancer-promoting estrogen into a protective estrogen, which helps to fight breast cancer. Broccoli contains phytochemical sulforaphane which is believed to help prevent colon and rectal cancer and the sulforaphane produces enzymes that have been shown to inhibit the growth of tumors. Carrots contain beta carotene – good for your eyesight, but also good for staving off cancer. 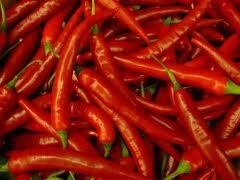 Beta carotene may help reduce many cancers including lung, throat, stomach, intestine, prostate and breast cancers. Some research has suggested that beta carotene may actually cause cancer; however this is only by eating a large amount – 2-3 kilos a day. Various types of mushrooms can help the body fight cancer and build the immune system. Shiitake, maitake, reishi, Agaricus blazei Murill, and Coriolus Versicolor mushrooms contain polysaccharides, powerful compounds that help build immunity. A protein called lectin, which attacks cancerous cells and prevents them from multiplying, is also found in these mushrooms. Seaweed contains beta-carotene, protein, vitamin B12, fibre, and chlorophyll, as well as chlorophylones– fatty acids that can aid in the battle against breast cancer. Turmeric is a powerful anti-inflammatory. It can help reduce the production of inflammation-related enzymes (cyclo-oxygenase 2) which are abnormally high in certain cancers such as bowel and colon cancers. Avocados are rich in the potent antioxidant glutathione, which attacks free radicals in the body by blocking the absorption of certain fats in the intestines. Avocados are also an excellent source of potassium and beta-carotene. Chili peppers and jalapeno peppers contain capsaicin, which may neutralize certain cancer-causing elements called nitrosamines and may assist in preventing cancers such as stomach cancer. Tomatoes contain the antioxidant lycopene which attacks free radicals in the body that are suspected of causing cancer. Tomatoes also have vitamin C, an antioxidant which can prevent cellular damage that leads to cancer. Figs contain a chemical called benzaldehyde. Studies conducted at theInstitute ofPhysical and Chemical Research inTokyo found benzaldehyde is highly effective at shrinking tumors. Garlic helps to strengthen the immune system and breakdown cancer-causing matter. Garlic contains the compound allium and this helps block carcinogens from entering cells and helps slow down the growth of tumors. Studies have found the garlic must be fresh garlic, garlic supplements do not contain these properties. Nuts contain the antioxidants quercetin and campferol that may curb the development of cancers. Brazil nuts contain a high amount of selenium, which is significant to help those with prostate cancer. Flaxseed contains lignans, which can have an antioxidant effect and may suppress cancerous changes. Flax is also high in omega-3 fatty acids, which may help to protect against colon cancer and heart disease. Green tea has been known to help prevent skin, esophageal, stomach, colon, pancreas, lung, bladder, prostate and breast cancers. Green tea, and to a lesser extent black tea, contain polyphenols, which have antioxidant properties. Studies have shown that polyphenols can minimize and prevent cancerous tumors by cutting off the blood supply to the tumors. 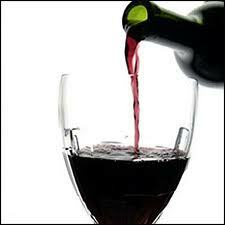 Red wine has polyphenols that may protect against various types of cancer. Polyphenols are potent antioxidants and help neutralize disease-causing free radicals. It is helpful and recommended to seek advice and assistance from a health care professional if you suspect you may have cancer and to follow their instructions. Eating a well-balanced diet and including these anti-cancer foods should be a part of a daily routine and not seen as a cure or treatment for any type of cancer. The information used for this article was sourced from the website http://www.care2.com and an article from http://www.foxnews.com.